This one is a bit tricky, especially the first part, where you need to avoid the pellet balls with all the carts, follow the design in the image and it should work. 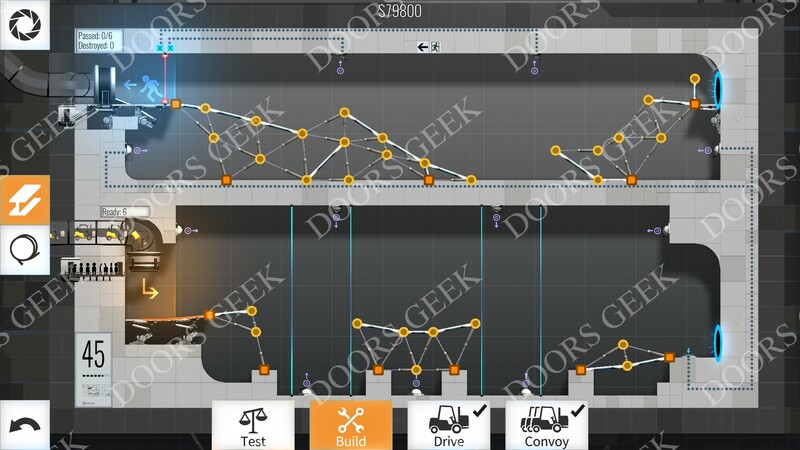 Bridge Constructor Portal Level 45 (Pellet Storm) Convoy Walkthrough, Cheats, Solution for Android, iPhone, iPad, iPod and PC (Steam). 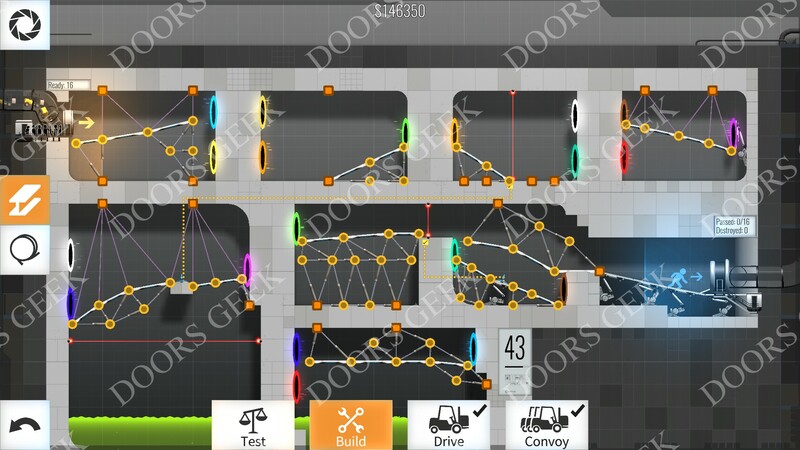 Bridge Constructor Portal Level 44 (Cube Artiste) Convoy Walkthrough, Cheats, Solution for Android, iPhone, iPad, iPod and PC (Steam). Bridge Constructor Portal Level 43 (Portal Galore) Convoy Walkthrough, Cheats, Solution for Android, iPhone, iPad, iPod and PC (Steam). 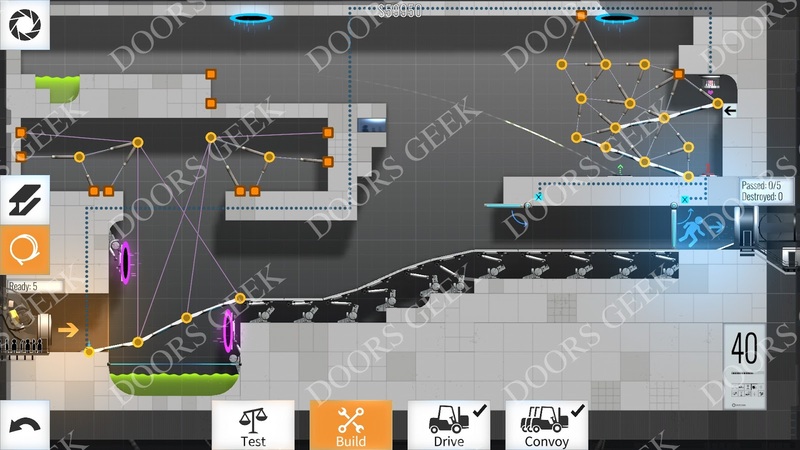 Note: I added those 2 vertical beams to delay the carts until both cubes slide on the buttons. 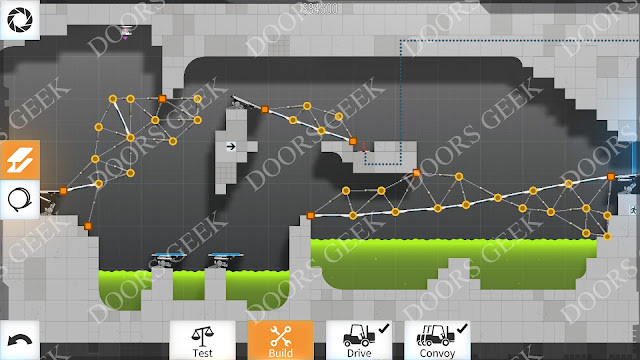 Also the last bridge is not so stable, i guess you can make it better if you have the patience. Bridge Constructor Portal Level 42 (Cubachinko) Convoy Walkthrough, Cheats, Solution for Android, iPhone, iPad, iPod and PC (Steam). 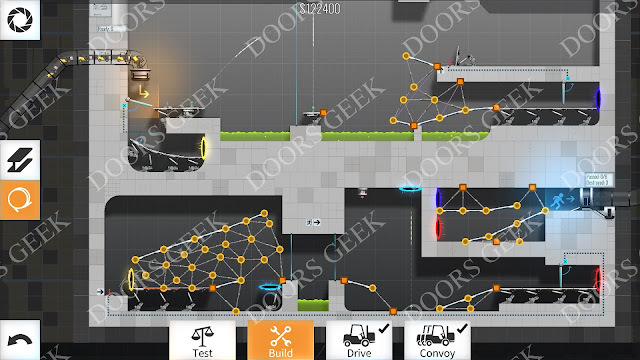 Bridge Constructor Portal Level 41 (Bounce Buddies) Convoy Walkthrough, Cheats, Solution for Android, iPhone, iPad, iPod and PC (Steam). 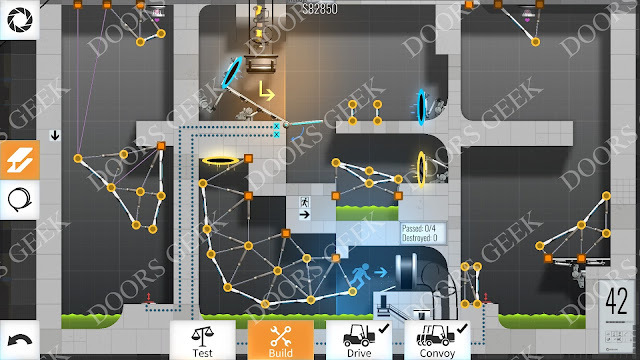 For this one you have to delay the cube until all carts are near the exit. Just make some tilted platforms and the cube should slide on the button just in time. Bridge Constructor Portal Level 40 (Timing is everything) Convoy Walkthrough, Cheats, Solution for Android, iPhone, iPad, iPod and PC (Steam).